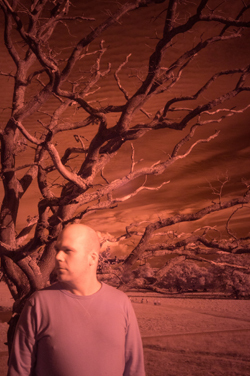 For fans of the label Traum Van Bonn is a new face, but for you who have followed our dub label Telrae and our techno imprint Trapez, you will have come across his work. 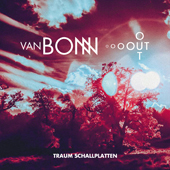 Van Bonn has been writing melodic music combining it with dub techno aesthetics and with a track like "Baumgartner" (Telrae 019) you can just image what a whole EP on Traum could sound like if it was not connected to dub. His recent hypnotic "Valid EP" on Trapez got him praise all along the Berlin-Berghain Posse as well as with a lot of DJs and introduced another perspective where haunted melodies are verbalized through mini changes in key and colors slightly changing… making strong connections here to the dance floor. His Traum EP "Out Out" makes a mark with a comparable simplistic organic complexity but shakes off any genre bond features with bravery. Van Bonn is at his best when he introduces pieces of silence, which are as forceful as "heavy storming melodies". His music is at times almost meditative but don´t expect to hear it at yoga classes, it is edgy, very personal and also very far out! "Out Out" kicks off the EP with unorthodox acoustic percussive sounds, that in the course of the track mutate to a repetitive hypnotic groove pattern. The invasion of determined sequential sounds blend in and out and stick like heavy glue. All this creates a forceful tension and with a vacancy here and there leads to an even more mesmerizing momentum which has you on the tip of your toes anticipating the next wave of sounds to come. And yes… there are cycles of sounds that give you the possibility to join in and make it a real and special "spiritual experience". "Out Out" is a vigorous monolith of electronic music which is concerned with its cosmic determinism and human freedom and... goes very private paths, essential enough for all of us to understand and relate to, we can dance all night long to a tune like this. "Reise Im Fjord" travels with the speed of light through a vast landscape with few borders. And although everything is flying by, time seems to stands still. It is these two poles that are responsible for that particular form of friction that the track develops. "Reise Im Fjord" is more then anything else a magical pieces of music, enchanting and melodic. "Bliss" sounds as if it was transmitting signals from another uninhibited planet. It may describe a room where happiness finds its place right next to unhappiness. The existential track virtually vibrates through its sequences and shows: all we feel and live for, is a result of wavelengths. This tracks takes the direct way to your heart and is a heavy weight. "Abroad" could also be called "Schwingungen". Notes are hit and then take off to find their place. This track shapes as sounds go by. Tones exists next to others that have been manipulated. "Abroad" is more of a soundtrack but connects strongly to the other tracks.